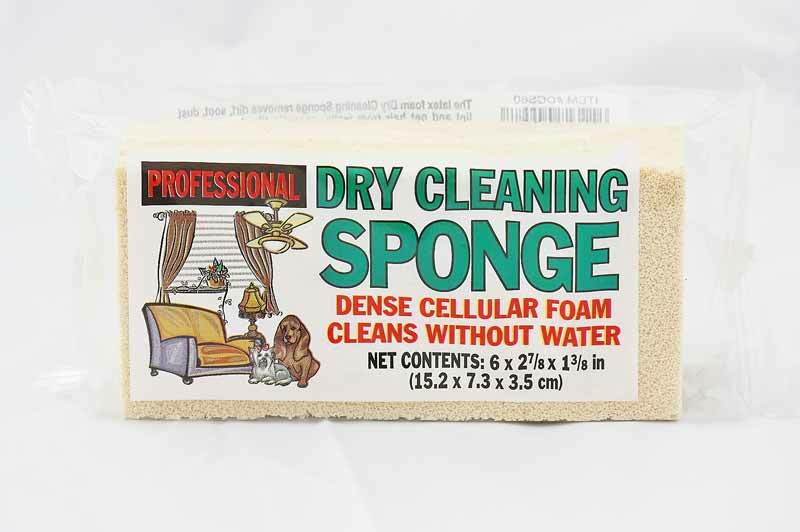 The latex foam dry cleaning sponge removes dirt, soot, dust and pet hair from walls, tiles, lampshades, upholstery, blinds, and more. 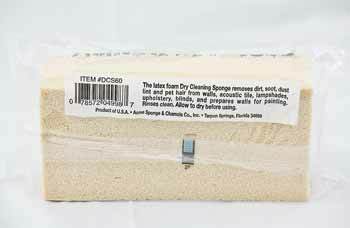 Prepare walls for painting with this dry sponge. 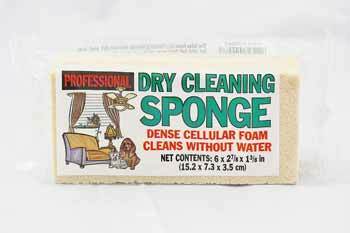 Rinse sponge clean. Dry before using.